From the gun (actually just the word “Go”), I was in a pack of guys. After about a half mile, I realized we were running slower than my goal pace, so I took the lead. It seemed like a daring move, and no one came with me. But I hit the mile split right on pace, and the next couple were pretty close to my goal. We left the boardwalk and headed towards a bridge to a nearby island and the turnaround. My splits were slowly slightly, but, still, I was leading. The whole thing. I saw my parents and husband at mile 5 and was excited for them to see me trailing only the motorcycle. I felt like a little kid at her first dance recital. Mommy, Daddy, see me?? I’m leading! I’m leading! Along a highway, towards the bridge, I tried to maintain pace, but it was no longer the pace I wanted. I had no idea where the next person was, but knew I’d get a glimpse at the turnaround just past mile 7. I tried to listen for the cheers from people at water stops; how long after I passed did they start to cheer for someone else? It didn’t seem all that long anymore. We went through another water stop and again the cheers were wild. Almost all positive, mostly by women, cheering excitedly that a woman was leading. Then I heard the feet coming. Dammit, dammit, dammit. The pitter-patter of getting passed. He caught me exactly at the turnaround. I had planned to count how many seconds he was behind, how much of a lead I had. But I didn’t need to count. My lead was zero. I tried to stick with him. Maybe I was just slowing because I was all by myself. Here’s my chance to get back into it, to find another gear. But I couldn’t… or, at least, I didn’t. By the time we were back on the bridge, prancing across the grates, I was gapped. I wanted to drop out. Not because I was injured or couldn’t keep moving forward, but because I was running so slowly I didn’t want to know my time. I wanted to make it back to my family and sit on the curb and just say, “Eff this day” and erase it from my memory. I didn’t want to get to the finish line and see exactly how ridiculously far off I was from my goal. I realize the gender of the winner of the Wild Half does not have far reaching sociological implications. No one else really cared. But sometimes, even when 99% of your brain is full of doubts and reasons to quit, there’s one little morsel that gives you a reason to keep going. So even though it was a ridiculous reason, I’d finish this race. For women everywhere. Just trying not to call it quits. Mile 10. But I still couldn’t translate that morsel into enough fuel to pick it up. I was slowing so dramatically I couldn’t even stand to look at my splits. Then, that damn pitter-patter again. Another guy passed me. He didn’t gap me as ferociously so I tried to stay near him. Maybe I can out kick him. Back on the boardwalk, we eventually caught people running in the 8K. One of them raved loudly about how much of a beast 2nd place guy was, but didn’t seem to notice me running in his slipstream. Dammit, you guys. Why do 100 people (men and women) say amazingly positive things and I am stuck focusing on the two dudes who only praise the men? Still, it wasn’t enough fuel. We headed off the boardwalk for the finish, and I couldn’t muster a kick. I wanted to beat the second guy, but not enough. My feelings about how abysmal the time would be were coming at me too fast. Didn't manage to capture the definitive Breaking-the-Tape Photo. But, hey, it was my first time. Post-race, I sat down on the ground and became the most ungrateful winner, ever. Tears, mumbled curses, the whole pathetic shebang. I hoped no one was paying attention, but I couldn’t help it; I was a wreck. Kristin came in 2nd, but also ran a time she was hugely disappointed by. We are in better shape than what we showed (or we have to tell ourselves that, anyway), and although it’s nice to go 1-2, that’s not what we cared about. 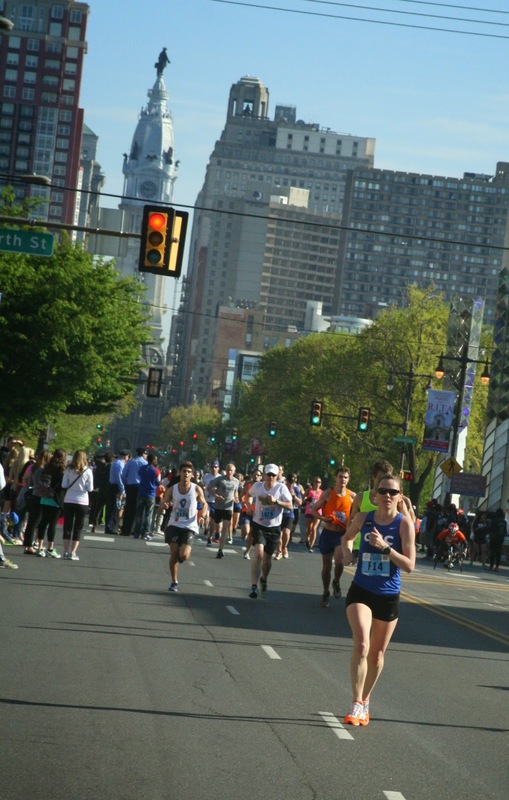 It was humid, but blaming the weather doesn't boost your confidence. We wanted times to prove our goals for Grandma’s are reachable. 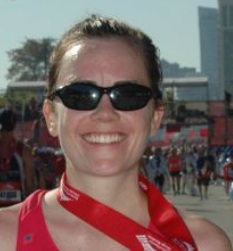 For my part, I ran slower than I did at CIM, for half the distance. Also, although I can’t complain about a win, I really did want to beat the guys. I don’t want people thinking I was only leading because I went out at a suicidal pace, that I was some dumb girl who just got ahead of herself and fell apart in the end. 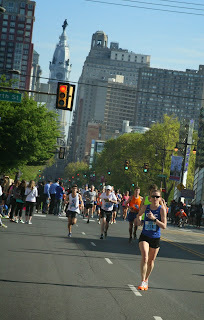 Yes, I did fall apart in the end, but I had reason to think that pace was possible. I know plenty of women have won races outright before; winning the Wild Half wasn’t going to make the news or spark an inspirational movement for little girls everywhere. I know that no one else really cares. But in that race, I felt the competition was really against the guys and against myself, and I lost to both. 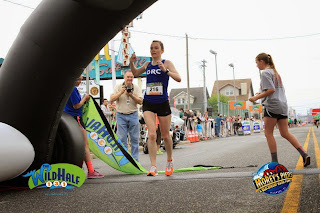 I don’t want to seem like a total brat: I’m incredibly blessed to be healthy, running as fast as I am, and winning races, but I also want to keep this blog completely honest. And completely honestly, this race was a discouraging disappointment. Part of me wants to re-run it, to have another shot to do it right. But obviously that’s not how these things go. And now I don’t know what to think about Grandma’s. I have just one hard workout left. If I nail it, maybe I can redeem this season and my hopes. But that’s what I thought going into this half. Clearly, it didn’t work.